As Metro prepares for two significant 24/7 track work zones beginning in the next few weeks, a review of traffic data from the last round of major single-tracking and shutdowns shows that the work zones lead to significantly slower commutes even for those who never use the Metro system. WASHINGTON — As Metro prepares for two significant 24/7 track work zones, a review of traffic data from the last round of major single-tracking and shutdowns shows the work zones lead to significantly slower commutes — even for those who never use the Metro system. Researchers in the Federal Transit Administration’s Office of Planning found significant increases in traffic volumes across the region during Metro’s “surges” that began in 2016, compared to the same periods a year earlier. “There is definitely a direct correlation between the increase in travel volumes, the decrease in travel speeds and the change in transit ridership during those time frames,” Director Dwayne Weeks said in a presentation to other planners. Overall Metrorail ridership dropped an average of 10 percent during the surges, with a significant portion of those riders apparently switching to driving to work alone. The data highlight the impact that Metro’s deferred maintenance issues continue to have on the region: There is a six-week shutdown of a portion of the Red Line set to begin July 21 and a two-week Aug. 11-16 shutdown of part of the Blue Line with single-tracking downtown on the Orange and Silver Lines scheduled to overlap. Blue Line trains will not run in or out of Rosslyn or the District. Orange and Silver Line trains are planned to run only every 20 minutes each. During that time, Metro is urging riders to find another way around the region. D.C. Public Schools begin classes Aug. 21, with a week of classes before the work zone ends. How bad might the traffic delays be? During the 2016 surges, drivers crossing between Maryland and D.C. saw 1.8 percent increases in traffic volumes on interstates and major collector roads, 2 percent on minor arterial roads and 2.8 percent on principal arterial roads. Volume on many major Virginia roadways to and from D.C. increased a similar amount, about 2.5 percent. Travel speeds on the roads dropped as much as 5.2 mph. The slowdowns averaged 2.1 mph across all the surges. The biggest differences were during rush hour and in the middle of the day. 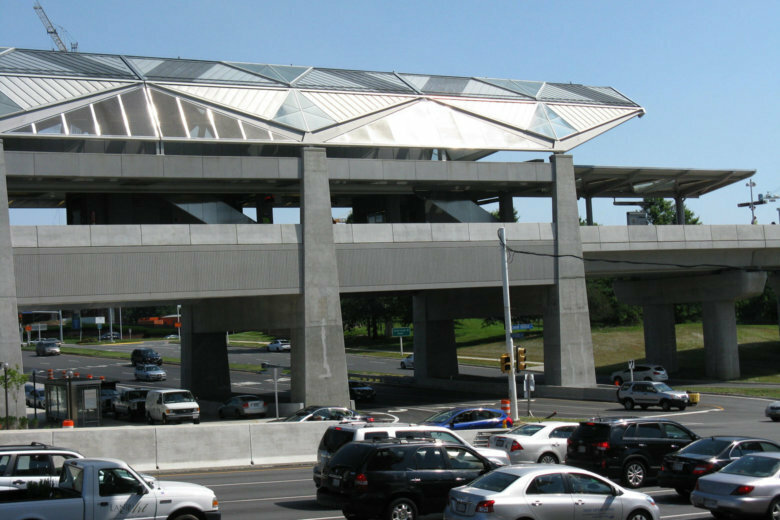 While Virginia Railway Express and Arlington bus ridership increased somewhat during the surges, Fairfax Connector and Alexandria’s DASH buses decreased significantly on routes that primarily serve to connect riders to the Metrorail system. That raises ridership concerns for Alexandria’s DASH bus system ahead of next summer’s monthslong Blue and Yellow Line shutdown, when the buses could be one of a limited set of alternatives. The number of people biking and walking across the Potomac between D.C. and Arlington increased slightly, as did the number of riders on MARC’s Camden Line. There did not appear to be a significant link between the shutdowns and increased bike-share use. Commuters who stuck with Metro most frequently used shuttle buses to get around shutdown zones rather than parallel bus routes or similar supplemental service. While Metro’s midweek ridership has somewhat bounced back since the end of the last round of 24/7 track work, a significant number of riders have not returned. The researchers believe some stuck with their new commuting options discovered when their regular Metro line was disrupted by track work.